1. 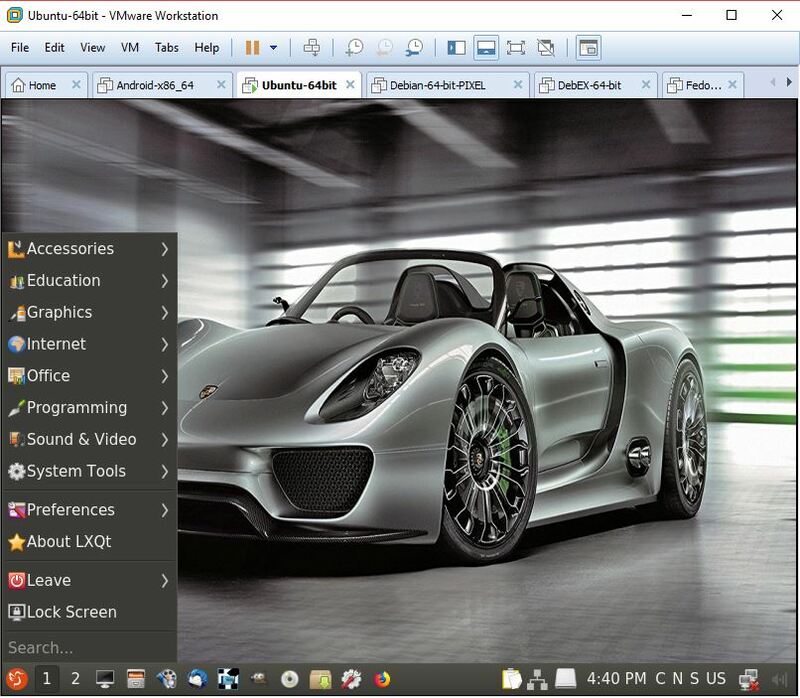 ExTiX LXQt is based on Ubuntu 18.04.1 Bionic Beaver. 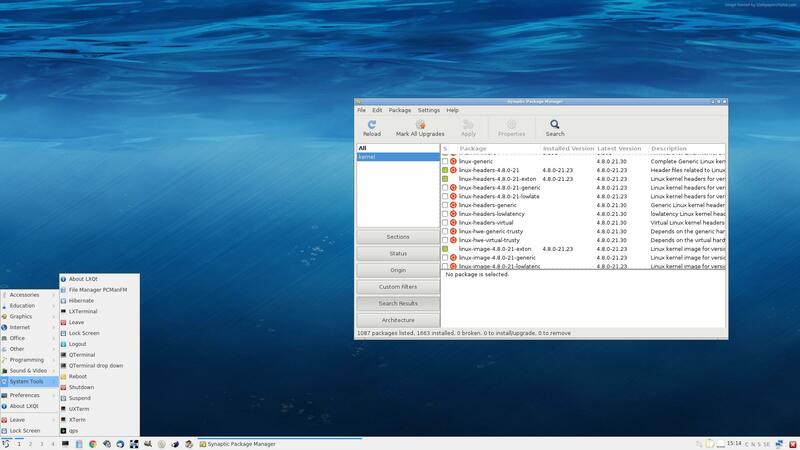 LXQt 0.12.0 is used as Desktop environment. All packages have been updated to the latest version by 180723. Kernel 4.18.5-exton is used. 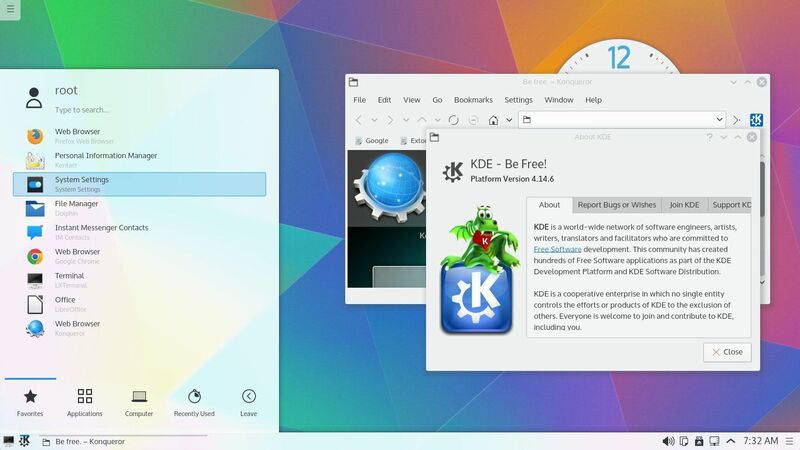 (Kernel.org‘s kernel 4.18.5). WHAT’S SO SPECIAL about ExTiX and especially the new version from 180901? 3. All packages have been upgraded to the latest version by 180901. 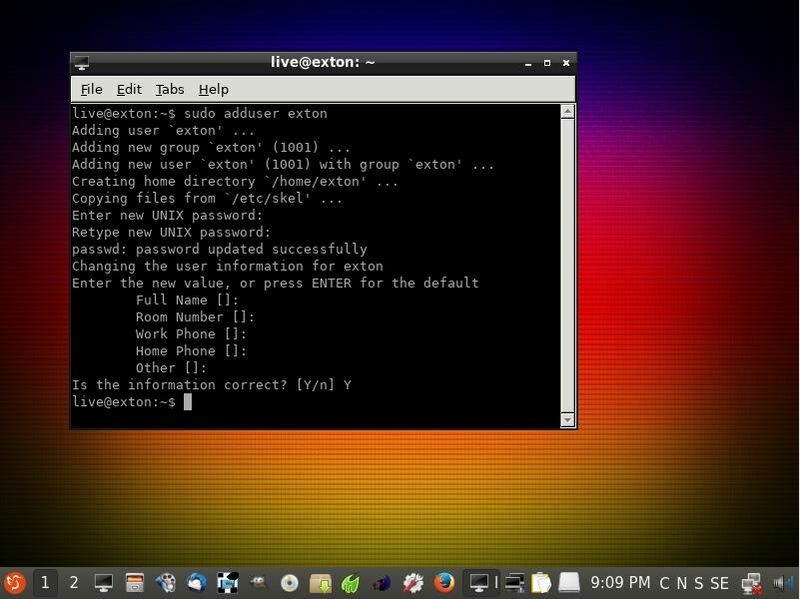 You can run ExTiX live as root (superuser) or as the ordinary user live. Log in from Slim‘s Login Manager as root with password root in the LXQt version or as live with password live. After a hard drive installation you will get the opportunity to create your own normal user. When logged in as live you can use Sudo to become root. (Command: sudo su). I have replaced Wicd with NetworkManager. It now works better in ExTiX LXQt. Calamares is an installer framework. By design it is very customizable, in order to satisfy a wide variety of needs and use cases. Calamares aims to be easy, usable, beautiful, pragmatic, inclusive and distribution-agnostic. Calamares includes an advanced partitioning feature, with support for both manual and automated partitioning operations. It is the first installer with an automated “Replace Partition” option, which makes it easy to reuse a partition over and over for distribution testing. 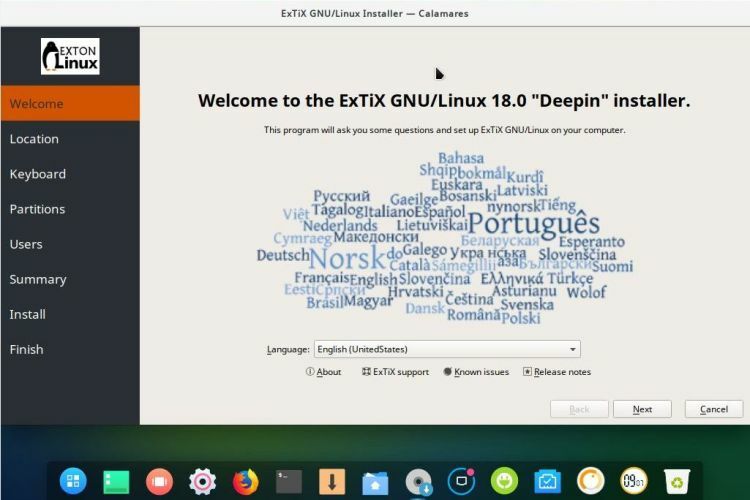 Watch a movie when I’ve started to install ExTiX Deepin using Calamares. See also a slideshow below showing the whole Calamares install process. The whole thing works in the same way in ExTiX LXQt. 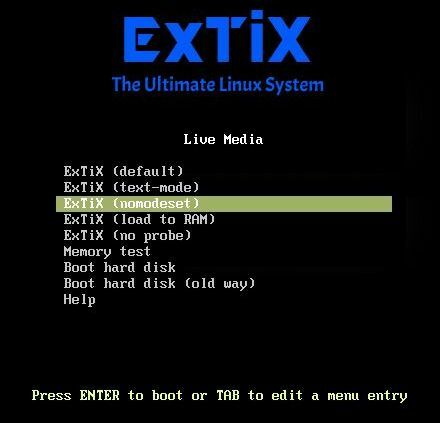 If you already have one Linux system (for example Ubuntu) installed on your computer you can refrain from installing Grub during the installation of ExTiX LXqt (for example on /dev/sda5). Instead just add the lines below in Ubuntu. I.e. to /boot/grub/grub.cfg. Or start up Ubuntu and run the command sudo update-grub. Start data for ExTiX will then be added to Grub automatically. Just start the install program Refracta Installer from the LXQt Menu (Refracta Installer). Then just follow the instructions. VirtualBox and VMware are examples of non UEFI-enabled computers. 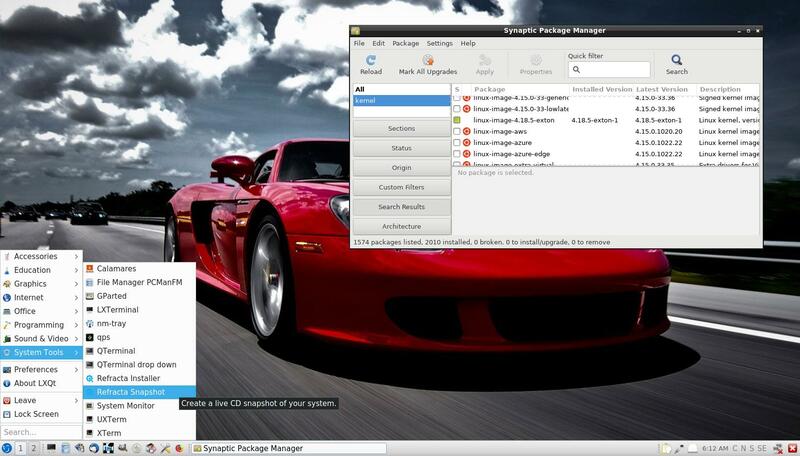 You can also use Calamares for installations in VirtualBox and VMware. 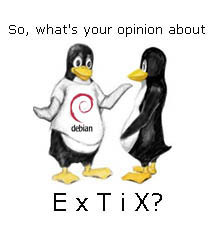 This version of ExTiX is especially for non-efi computers. 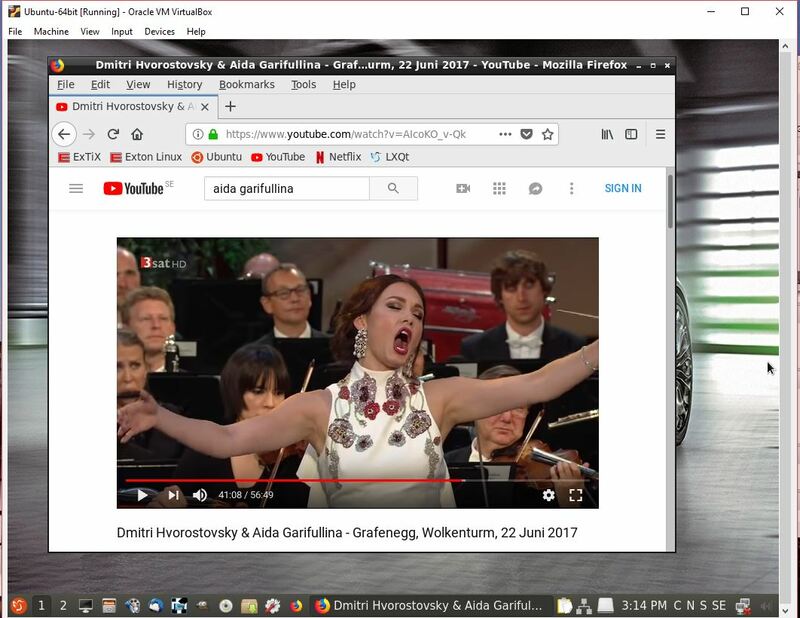 While running ExTiX LXQt 18.9 live or from hard drive you can use Refracta tools (pre-installed) to create your own live installable Ubuntu system. A ten year child can do it! Watch a slideshow below. (The slideshow is for ExTiX Budgie 17.7, but Refracta tools works in the same way in ExTiX LXQt). You don’t even have to install ExTiX to hard drive before you can use the Refracta tools. If you have plenty of RAM you can create a new (your own!) Ubuntu system while running ExTiX from a DVD or a USB stick. Please note that the whole Refracta process (creating your new ISO) will only take 10 – 15 min! You’ll find the ISO in /home/snapshots. (Or change that in /etc/refractasnapshot.conf). 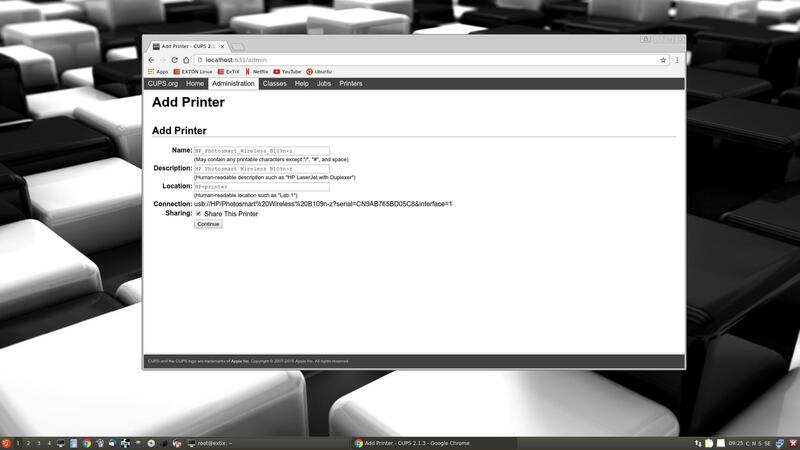 It’s really very simple to install a printer in ExTiX/Ubuntu. First you have to install Cups (Common UNIX Printing System). Do it in Synaptic or use the command sudo apt-get install cups. 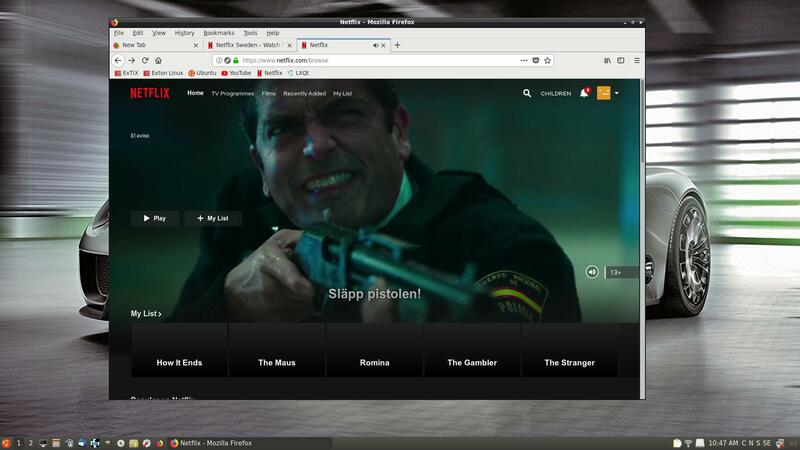 Then open up Firefox and go to http://localhost:631/admin. 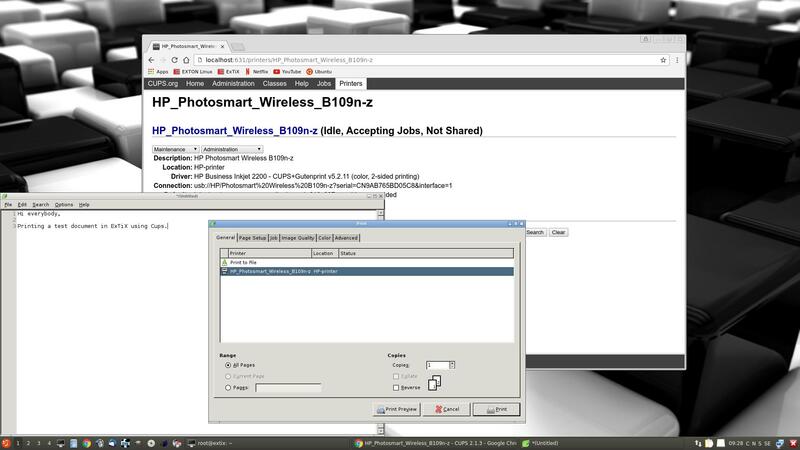 See the following five screenshots showing when I added my local printer HP Photosmart Wireless in ExTiX LXQt. For “normal” photo editing you don’t need Adobe Photoshop or Gimp. Just go to fotojet.com (an all-in-one free online tool for photo editing, graphic design and photo collages) using Firefox. If you install ExTiX to hard drive you must/should immediately (for security reasons) manually change root’s password. This is because the installation program does not ask about a new root password. (Ubuntu original uses no root password). The root password is changed by running the command sudo passwd root. After installing ExTiX to hard drive, you can alternatively remove the root password altogether. 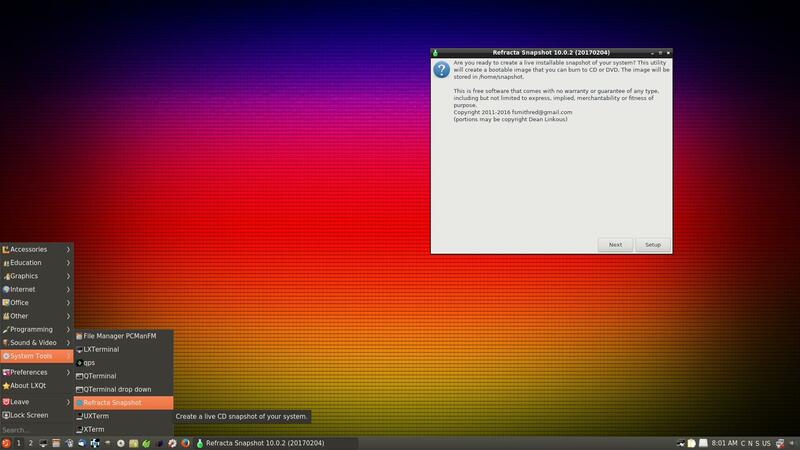 This is done with the command sudo passwd root -l. NOTE: The Calamares installer do ask for a new root password.